Please be sure to complete the post event survey! Used to determine programming for future NECA events, all feedback, no matter how small, is welcome! NECA Now presentations are available on the NECA website and through the NECA Events app. Certificates for the sessions you attended were emailed today. If you have not received your certificate or have any questions, please contact EDUCATION@NECANET.ORG. 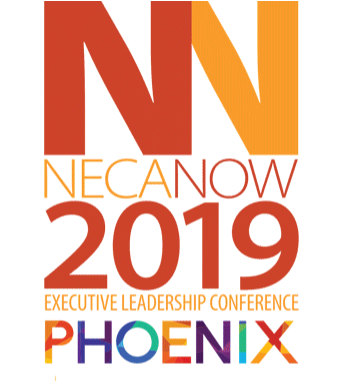 Photos from NECA Now 2019 Phoenix can be accessed and shared through our flickr account. We look forward to seeing you September 14-17 for NECA 2019 Las Vegas!